LAN and TAM is having a Cyber Monday sale to Argentina, Brazil, Chile, Colombia, Dominican Republic and Peru from Los Angeles, Miami and New York. Argentina, Brazil and Chile is about $900. That’s a normal sale, so it isn’t that interesting to us. 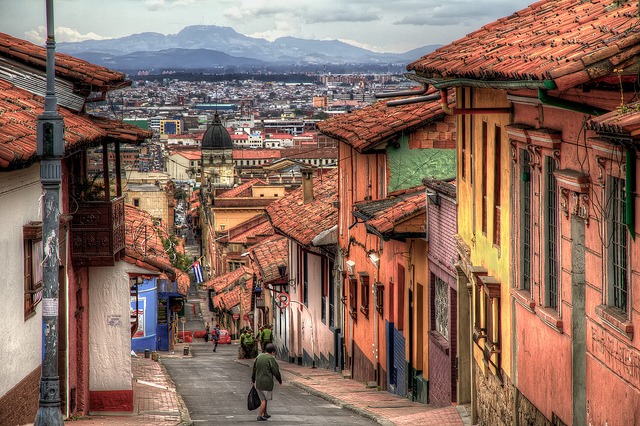 Peru is between $500 – $750, even without a sale, Peru is like that. Dominican Republic from Miami is $199, so that’s just okay. However, we find the $299 fare between Miami and Colombia interesting. It is about 33% off normal. Even Spirit out of Fort Lauderdale is at least $350 for travel to Colombia. The only time we have seen it for under $300 was earlier this year when US Airways and American were launching their codeshares and US Airways were underpricing American’s fares even thought it was operated by American. US Airways had it for $189 and $209. However, with the codesharing issues corrected now, it will unlikely to hit that low again. MIA – BOG (Bogota) – MIA. 3,026 miles. LAN is a member of the Oneworld alliance and American partner. This fare will earn 100% mileage with American for the segment between Miami and Bogota. Intra-Colombian segments will earn 25% mileage with American. 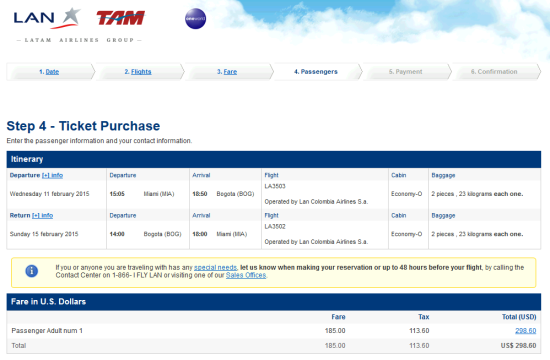 Support us by using our LAN link to book with dates found on ITA Software Matrix Airfare Search.